After resting in the rumor mill for quite some time, Huawei’s Mate 20 is now official with a bunch of improvements in all directions. 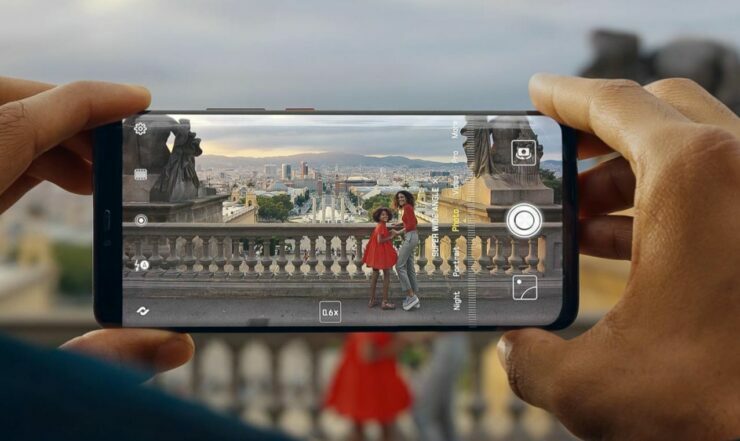 The Huawei Mate 20 and Mate 20 Pro are the company’s latest flagship smartphones which will carry it through 2018. While a lot of aspects on the design front is similar between the two devices, there are are several key similarities you should take note of. So let’s dive in to see some more details on the Huawei Mate 20 for now and what changes set it apart from the Huawei Mate 20 Pro. One of the key differences between the Mate 20 and the Mate 20 Pro is the display and its different approaches. 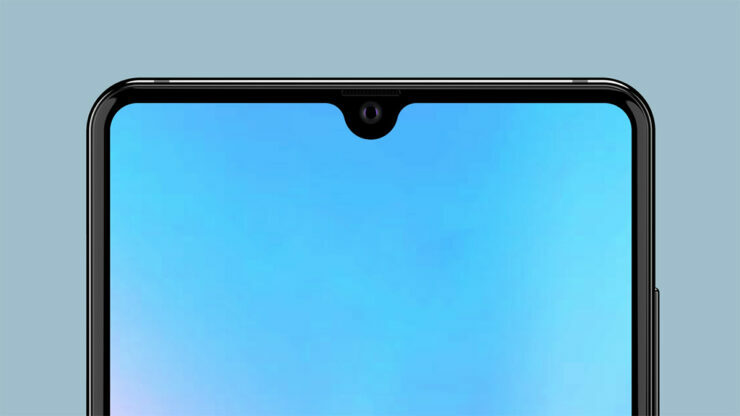 While the Pro model features a wide notch housing all the necessary tech for enhanced facial unlock, the standard Mate 20 comes with a teardrop Display, it’s the tiny notch which only features the front-facing camera. So you get more screen real-estate compared to the Huawei Mate 20 Pro. The design of the devices is pretty sleek with highly slimmed bezels stretching to all four corners of the display, The tiny notch up top on the Mate 20 is the latest in terms of design and we see it competing against the OnePlus 6T in the near future. Huawei Mate 20 Pro, on the other hand, features an iPhone XS-like wide launch. In addition to this, the Huawei Mate 20 also features a rear-mounted fingerprint scanner. the Mate 20 Pro, on the other hand, features an in-display fingerprint sensor. 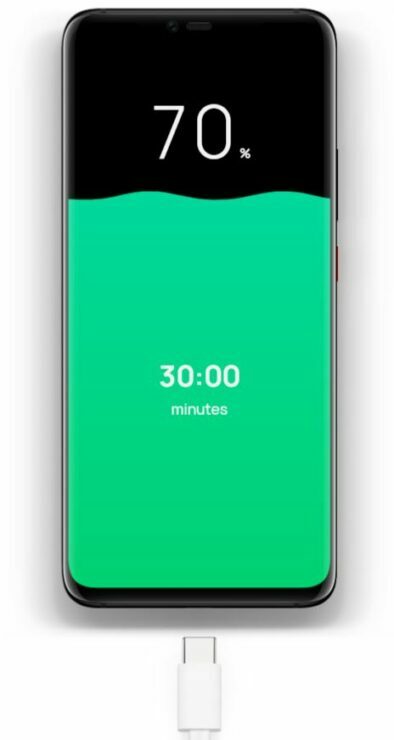 The size of the display is 6.53-inches, bigger than that of the iPhone XS Max and it is an LCD panel with a resolution of 2244 x 1080. It supports the DCI-P3 color gamut HDR with an aspect ratio of 10:7:9. 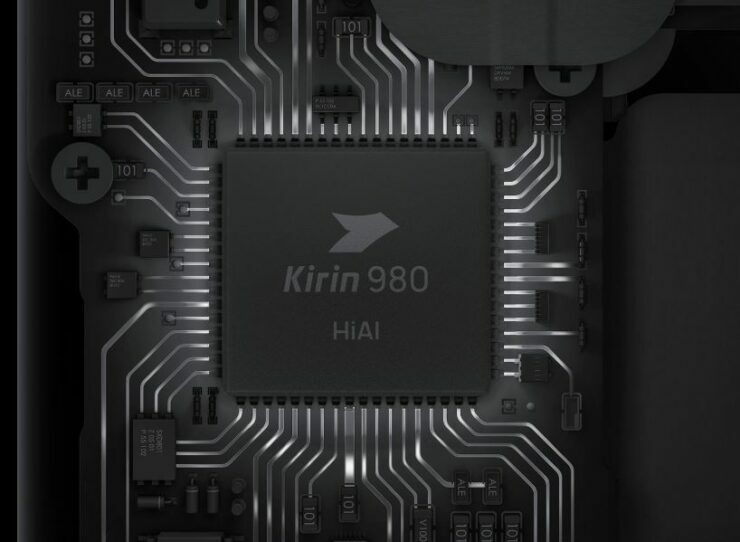 In terms of what’s powering both devices is a Kirin 980 processor coupled with either 4 or 6GB of RAM on the Mate 20 and 6GB on the Mate 20 Pro. Also, both models feature 128GB of storage. Both the Mate 20 Pro and Mate 20 features a triple lens camera set up at the back. However, it is the camera specifications that set it apart. 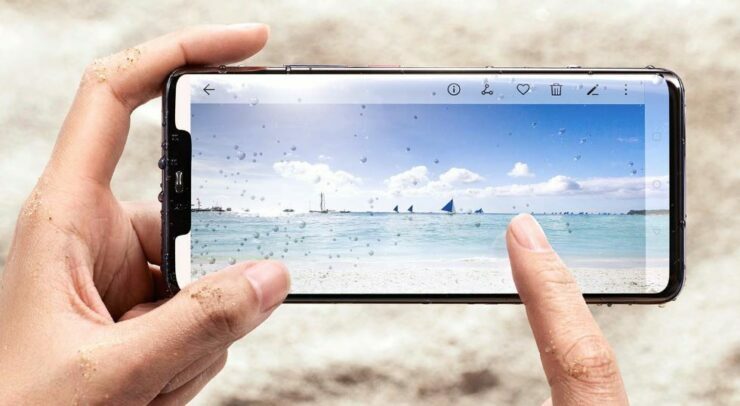 With the Mate 20, you get a 16MP Ultra Wide Angle, 12MP Wide Angle, and an 8MP 2x telephoto lens. The front camera is also a 24MP shooter. Huawei’s Mate 20 Pro, on the other hand, features a massive 40MP Wide Angle, 20MP Ultra Wide Angle and an 8MP 3x Telephoto lens. Other than that, the Huawei Mate 20 features a 4,000mAh battery, a little less than the Mate 20 Pro’s 4,200mAh. The Huawei Mate 20 and Mate 20 Pro are powered by Android 9 Pie with several variations made in the visual department. In addition to this, there are several new features accommodated in the mix. the standard model features 22.5W Huawei SuperCharge while the pro model is equipped with 40W Huawei SuperCharge. 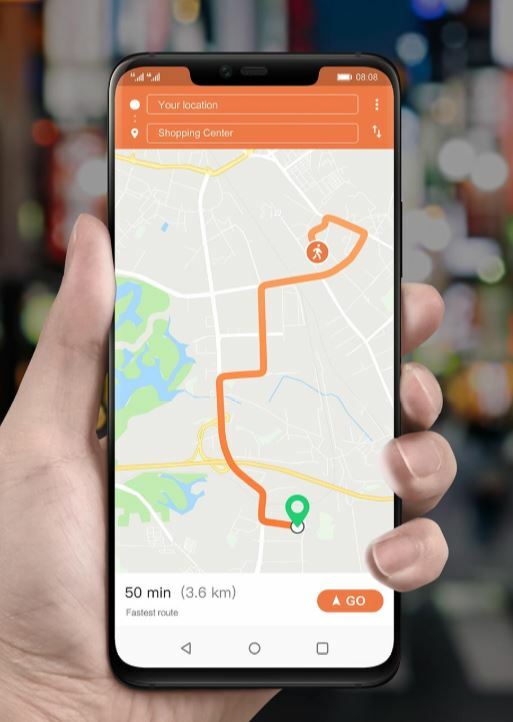 The Pro model also features some wireless charging tricks up its sleeves as it emits Qi-enabled wireless charging which can be used to charge other smartphones wirelessly. 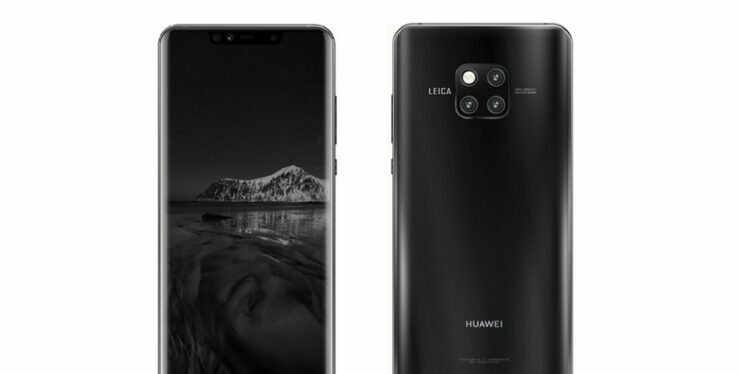 The Huawei Mate 20 will be available at an estimated price of $780 and the Pro model will possibly be priced at $1099. There are a whole lot of new additions, so do stay tuned for an in-depth review. There will be more to the story, so be sure to stay tuned in for more details on the matter. This is all for now, folks. What are your thoughts on the Huawei Mate 20 and Huawei Mate 20 Pro?